Welcome to Casa Dwyer: These Disney Cruises Infuriate Me - Why Do I Keep Booking Them? These Disney Cruises Infuriate Me - Why Do I Keep Booking Them? After wandering around the Orlando airport a bit trying to figure out where to catch the Disney bus to the Disney Cruise Terminal, we finally found our way to the Disney's Magical Express Welcome Terminal. We're trying to keep tabs on the kids and everyone's excited and it's a little hectic as we present our travel documents to the Disney agent to check in for our cruise. Since I'm a little encumbered, I pass the agent our little Disney-provided travel folder which contains our passports and birth certificates. I figure she's adept at navigating through these folders and finding what she needs but after a moment of searching she says she needs the kids' birth certificates. I say, "they should be in the folder I passed you." "I didn't see them in here," she says. "Could you look again? I'm pretty sure they're in there," I say. "I looked, they're not here." I look in my shoulder bag, and rifle around a bit. The birth certificates aren't there. I can sense unspoken panic start to set in among our group. No birth certificates for the kids? That's the first thing they say you'll need when you book the cruise. How could he forget these? What will happen? Are they going to let us on the boat? Can we get copies rushed down here somehow? I ask the agent one more time to please look through the folder more dilligently. Sure enough she finds them. Then makes some excuse about why they were hard to find. How about an apology for instilling panic within our group to kick off our vacation? 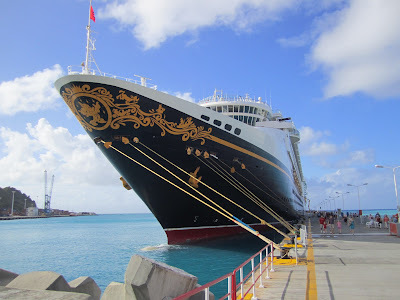 We were seamlessly transported to nearby Port Canaveral, swiftly made our way through the Disney Cruise Line Terminal and boarded the ship to our family name being announced by cheering staff. If there's one thing Disney does right, it's making every guest feel like they're special. But throughout the two Disney Cruises we've taken this year and last, I couldn't help but be frustrated and disappointed between periods of elation and utter satisfaction while having the time of our lives. When Disney is at it's best it delivers on Walt Disney's vision of creating situations where everyone in the family is enjoying themselves together. When it's at its worst I wonder why we don't vacation elsewhere. The next morning me and our two boys (7 and 4 years old) got up and went for breakfast to give my wife a chance to sleep in. We'd been talking about it for months. Our waiter at dinner the night before said the breakfast buffet opened at 6 am. Turns out, it doesn't open until 7:45 am. That's pretty late if you ask me - and I think the other parents with young kids wandering and foraging around the decks that morning would agree. It wasn't so much that breakfast wasn't served until 7:45 - it was that I expected it to be available at 6:00 am and it wasn't. After a couple hours exploring the ship we eventually got breakfast. When we got back to the room my wife wasn't feeling well. The kids were cranked up so I thought it would be a good opportunity to drop them in the Oceaneer's Club. It's supposed to be open every day from 9 am to midnight and the clock in our stateroom said 9:30 am. I walked them down to the club to find it wasn't open. Turns out the clock in our room was set an hour ahead. Not Disney's fault of course, but let me tell you something: The clocks in the staterooms are harder to solve than a Rubik's Cube. The instructions refer to a button on the clock that doesn't exist. And why should I even need instructions to set a clock? Adjusting the time on the clocks they use has eluded me over the course of the two cruises we've taken. The pattern of over-committing and under-delivering, along with failing to make my life easier at times when I wanted it most repeated throughout the cruise. We eventually got our act together and were determined to make the most of the day by spending some time at the kids Mickey Pool. By the time we got there, the place was a mosh pit. Every lounge chair in the area was taken and the pool was filled with youngsters and parents hovering around them. This wasn't surprising given it was a day at sea, but we were determined to get it right the next day. Much like visiting Disney Parks you've got to be on your game to enjoy it. The next morning we were promptly situated by the Mickey Pool before 9:00 am. The kids were having a blast enjoying the pool they had mostly to themselves. 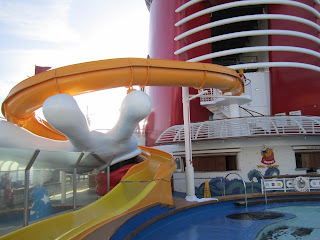 The Mickey Slide was set to open at 9:00 am according to the ship itinerary, but 9:00 came and went and the slide wasn't open. I couldn't figure out who to flag down to ask about the slide but eventually chatted up a cast member in a white shirt who said he had to wait for a lifeguard to open the slide because the lifeguards have the keys to the slide. Another 10 or 20 minutes went by and eventually a lifeguard showed up and the slide was opened. Was it a big deal the Mickey Slide opened late? Not really. Was I annoyed that we arrived early to avoid the crowds and the slide opened late? I was. And I was annoyed that it wasn't clear who was in charge of the area. Where do I take my requests on board? It wasn't always clear. 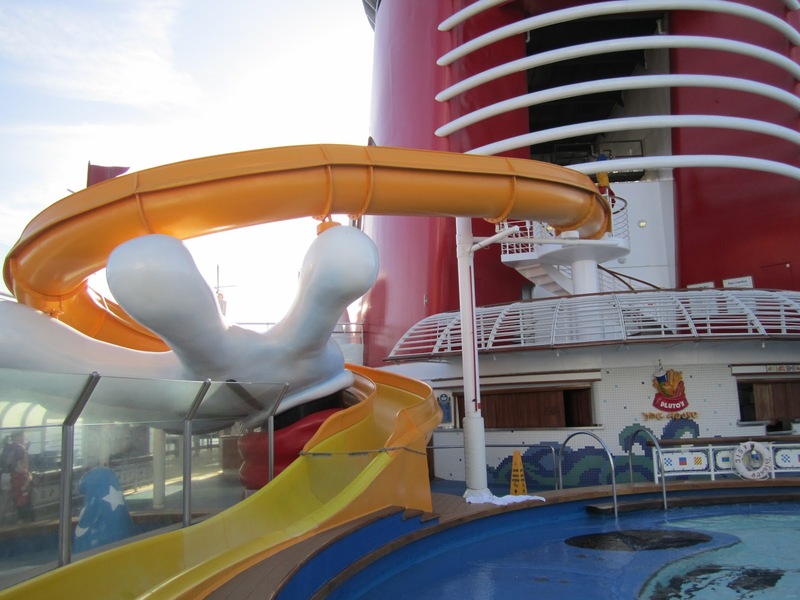 Once the slide opened, the situation was magical. It gave all of the adults a chance to relax poolside on lounge chairs while keeping a relaxed but watchful eye on the kids as they went down the slide and raced back up for another trip. It was absolutely fantastic. I don't think I've ever been as angry with a service provider as I was with room service on the third night of our cruise. Our kids were crabby and didn't want to join us for dinner so the plan was to order room service for them and send them to the Oceaneer's Club while the grown-ups ate dinner. Dinner is at 5:45 so we called for room service at 4:45 and ordered some food for the kids. Room service said they'd deliver in 30-45 minutes so it should have given us time to feed the kids, drop them in the club, and make it to dinner in time. "We ordered food an hour ago. You said it would take 45 minutes and it's been an hour. WHERE IS IT!?" After much discussion about who should stay behind and help the kids eat and join for dinner late, all of us except one took off for dinner. The food arrived 1 hour and 20 minutes after it was ordered. I'm not so much bothered by the backup right around dinner time as the mis-estimation of how long it would take to deliver the food. It's a classic case of over-committing and under-delivering. If room service had just told us they were slammed and that it would be over an hour I would have gone up and gotten them some food on deck myself. Where Do They Get These Kind People? Half way through the cruise our 7 year old got sick. He took a nap in the afternoon which he hasn't done since he was 2. I thought he might be tired from all the fun, but sure enough when he woke up he felt warm and was running a mild fever. A few hours later he threw up all over the room. "Don't worry baby, you didn't do anything wrong. Everything is going to be alright." Another cast member from maintenance came to steam clean the carpet and was similarly kind. 20 minutes later the room was as if nothing ever happened, our boy was in good spirits, and I was so thankful for the kind people Disney hired to help make our stay more enjoyable. As I grow older I'm amazed how much I look at Clark Griswold as a peer. The National Lampoon Vacation series classically summarizes the enthusiasm - and disappointment - I feel as a father trying to enjoy vacations with family. Finding moments of joint family enjoyment on vacations has proven elusive over the past few years for us. The vast majority of vacations have been marred by illness and weather-related airline delays and cancellations. 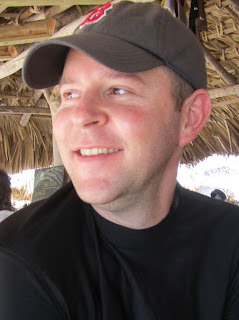 I'll admit: At times I realize I'm pressing for things to go well. We settled in over the next couple days. We kept our 7 year old out of the kids club and spent time hanging out with him doing low key activities. We were together. It was nice. 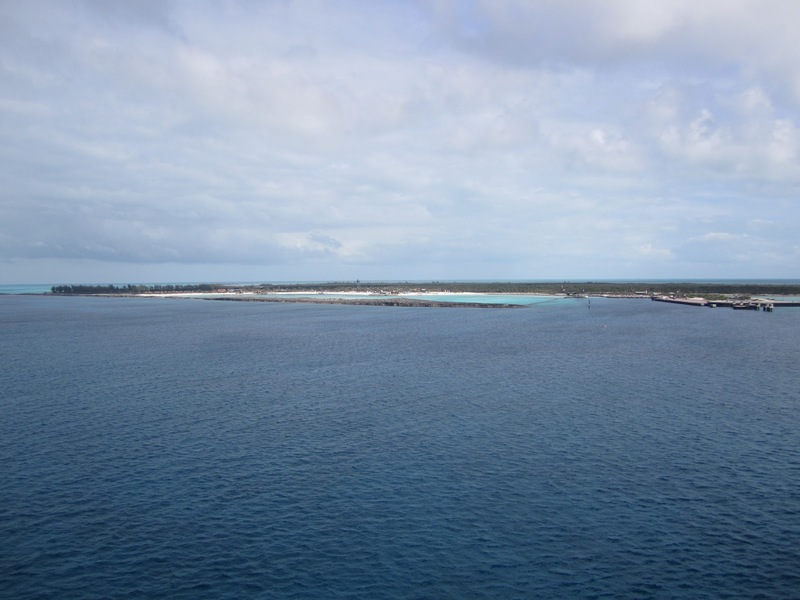 On the last day of Disney Cruises out of Port Canaveral, the ship stops at Disney's private island Castaway Cay. After visiting last year and enjoying every moment there, we were pumped to visit again. I was up on deck watching us sail towards the island. When I felt like we were about 20 minutes away, I ran downstairs to rally the troops. The kids got their bathing suits on, everyone got sunscreened up and we came back on deck to watch the ship pull into port. However, the ship seemed to be wandering around the ocean and we were farther away than we were a half hour ago. We were this close - what happened? The Captain came on the public address system to announce that due to a technical malfunction we'd be docking at Castaway Cay a couple hours later than scheduled. The Cruise Director hurriedly patched together some entertainment around the boat, but the crowds were anxious to be on the island. I realize it may seem small to complain about minor inconveniences like this. And it is a small thing. It could have been a lot worse. But Disney could have offered some half price drinks on board while we were waiting. Or something. 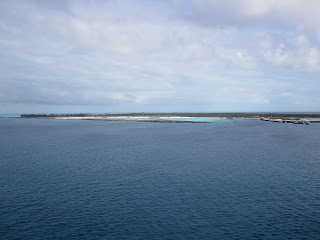 The ship stayed an hour later at Castaway Cay than originally planned to help compensate for the time missed. We had a great time. They got us to our destinations safely and I appreciate that. But there never seems to be much shame in their game. Kind of like with Apple products: If you have an issue with Disney or Apple there must be something wrong with you. This situation drives me bonkers. This piece by Seth Godin comes to mind where he advises that in business the "best available strategy is providing remarkable service and an honest human connection." Disney does that - to an extent - but what's missing for me is the loop where I can share feedback and feel like it's been received thoughtfully by a human being. They asked for my opinion several times but I feel like it's taken to fill out a formulaic spreadsheet. Ironically, in Godin's piece he suggests businesses consider firing the whiners because they'll never be satisfied and the cost of delighting them is too high. I guess that makes me the whiner in this situation. I understand that perspective, but I don't think my expectations are out of line with the costs of a Disney vacation. The final kick in the pants was when I tried to return a shirt I'd bought on Castaway Cay. Think of all the things they got right to enable this: I purchased an exclusive-to-the-island Castaway Cay t-shirt with my Key to the World Card and I could return it on the ship where they didn't even sell that same shirt. Disney magic right? Just one problem: The gift shop didn't open as scheduled at 5:30 pm so I had to do it after dinner, before the show, on the last night of the cruise when the gift shops are mobbed. What's so hard about opening things on schedule? Why Do I Keep Booking These Things? The next morning we enjoyed what has to be the most efficient debarkation process at sea. Our luggage was waiting for us and we were off and running as seamlessly as we arrived. Systematically, Disney gets so many things right. When we booked our cruise they remembered all of the important details of every member of our party so re-booking was a snap. They had our pictures saved from last time so we didn't have to re-take them for identification purposes when getting off and on the ship. Their ships are filled with some of the kindest people I've ever met in the service industry. It was striking how when we arrived back to Boston, some folks who work at the airport don't even acknowledge you as a human being. Yet even the maintenance staff on the Disney ships are as warm as can be. How do they do it? How do they delight and frustrate me so much on the same day? I think human nature, if we're lucky, is to forget the bad things that happen in life and remember fondly the good things. I'm sure in a few weeks I'll be joyfully replaying scenes from our vacation to our collective delight. 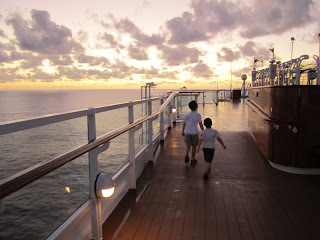 We'll start talking about our next vacation and who knows - maybe we'll do a Disney Cruise again soon. I booked this latest cruise with similar concerns after our first. I search around, consider alternatives and come to the conclusion that for us, at this stage in our lives, the Disney Cruises provide a tremendous value. I understand why we've chosen them for vacation the last couple years. I just wish they wouldn't drive me so bonkers. At the end of the cruise, Disney gives you a survey to fill out. A couple days later they send a similar survey online. But neither seemed to allow me to capture how I really felt about the cruise. It's kind of like when a friend asks "how was your cruise?" "It was great!" I say. But if I want to get real with someone who's as interested in taking great family vacations as I am it's a longer conversation. Question of the Day: What do you think of Disney Cruises? Of Disney Vacations? Take the good with the bad and stick with them? Or is there better family fun to be found elsewhere? Such a beautiful ship, truly loved it. Nice post. I am highly interested on this. Energy provide can also be an enormous function in terms of issues reminiscent of energy outages and blackouts. Whereas a colocation service will be sure that they've a number of backup turbines and contingency plans, this isn't at all times doable when an online server is just in an workplace constructing.